A few of our clients asked us whether our overseas dental clinics also offer deep cleaning. 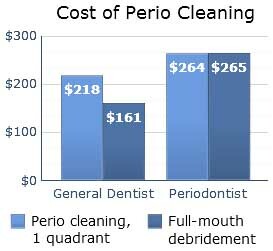 The cost of cleaning your teeth with your local dentist in the U.S. can be quite high, if he or she recommends deep cleaning. It makes perfect sense to have your teeth cleaned with the best dentists in Costa Rica, when you come for your dental implants. Dental offices abroad offer teeth cleaning and your total savings for all of your dental procedures will be even larger. First, allow me to explain how the price of your deep cleaning procedure is determined. The cost of your cleaning procedure will depend on two factors, the depth of the pocket(s) and the extent of the area the dental hygienist will have to clean. Dentists typically charge per quadrant of cleaning they have to do. Depending on these two factors, overseas dental offices may charge between $200 and $500 per quadrant. Many dental offices in Costa Rica guarantee at least 20% savings. The cost of local anesthetic should included in the price quoted to you by the dental office. In addition, dentists may use antibiotic gels and rinse (e.g. chlorhexidine) within the periodontal pocket. Moreover, make sure the overseas dental office you choose uses the same ultrasonic cleaners used by your local dental office.